Have a great idea for a film? Or a bunch of songs rattling around in your head and you're not quite sure how to get them out? ​With our experience in project management, premium contacts in the NYC creative industry and wide knowledge of cutting edge music, sound and film experience we'll help your ideas become reality. From Music Videos, to EPs, to Original Content Production, we would love to hear your ideas and work with you on them. We have a long list of projects that we'd like to pursue and we're always looking for collaborators to help us make those projects a reality.  If you would like to work on a Charging Moose Media Production, don't hesitate to reach out. We would love to hear what you do best and find a way to incorporate it into one of our upcoming projects. With every project we're hoping to expand our rolodex of artists, so that we can be a hub for creative activity around New York City. Is your company looking for a creative way to market itself? Is your band looking for a creative way to advertise their new album? Branded content is a great way to get your message in front of new audiences. By teaming up with Charging Moose, we'll work with you to create a strategy to reach new audiences and create unique, new content that ups your brands visibility. Interested in Collaboration? Reach out to us! Got a funny joke? Let's hear it! If you're interested in submitting a play for consideration for At the Table: A Play Reading Series, you can do so through the submission form on that page. Thank you!